Located on Hwy 1 on the Central Coast, an hour north of Santa Barbara, and 30 minutes from Solvang, Lompoc offers a scenic destination with exceptional wines, championship golf, one-of-a-kind eateries, and a lovely Mediterranean climate to enjoy any time of year for your business meeting or special event. With 12 small to mid-size hotels to welcome groups, including the new Hilton Garden Inn with state-of-the-art amenities and the recently remodeled Embassy Suites, Lompoc is ideally suited for gatherings from 12 to 300 guests. All of the hotels are located in town, and are within walking distance to local restaurants. 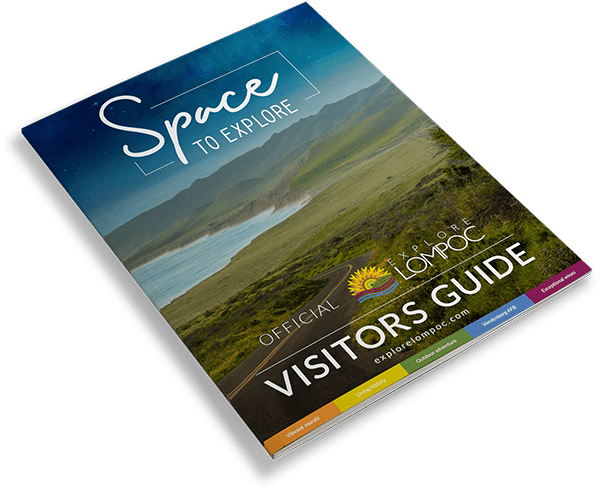 Lompoc’s unique event venues include our historic mission, estate wineries, and gorgeous golf courses which can be rented for private parties, weddings, wine dinners, board retreats, tournaments and other group gatherings. Lompoc’s largest event facility features a variety of large and small rooms to accommodate meetings, conferences, and training programs. The largest room seats 300 banquet-style, and up to 450 theatre-style. On-site commercial kitchens available. Ideal for small meetings, conferences, or rehearsal dinners for up to 80 people, the newly renovated Embassy Suites can easily host mixers, training sessions, and other corporate events. On-site catering is available. Stunning setting. Great wines. First class experience. Foley Estates offers superb mountain and vineyard views. The expansive lawn has room for 200 guests for your ceremony and reception. Indoors, the tasting room and barrel room provide a more intimate space for 60 to 90 guests. Lompoc’s newest hotel, the Hilton Garden Inn Lompoc, features a welcoming open-lobby concept, modern amenities, spacious guest rooms, a heated outdoor pool and spa, fitness center, and elegant meeting space for small to mid-size meetings and events of up to 300 guests. The on-site Valle Eatery & Bar offers farm-to-table fare, handcrafted cocktails, local beer and wine, and wood-fired pizzas for your celebration. Looking for a place to hold your next board meeting or small class training session? The Holiday Inn Express Lompoc has a board room that seats 12, along with an on-site business center. La Purisima Golf Course provides panoramic golf course and countryside views as a beautiful backdrop for your wedding or special event. The venue can accommodate 75 people for an indoor wedding or event, or up to 200 on the spacious outdoor terrace. California’s most restored mission is a bucolic setting for rustic weddings and outdoor events. La Purisima has four venues to choose from - the Main Church, the Padre’s Chapel, the historic Mission Garden, and La Sala – and can accommodate from 50 to 300 guests. With stately oaks and mature pine trees framing the fairways leading to undulating and terraced greens, the Mission Club features a golf course you’ll love to play and a restaurant for private events and gatherings. Nestled in the Sta. Rita Hills, Sanford Winery offers an exceptional location with inspiring views of rolling hills and lush vineyards. For indoor events, Sanford’s Barrel Room offers an intimate, inviting space for your group.